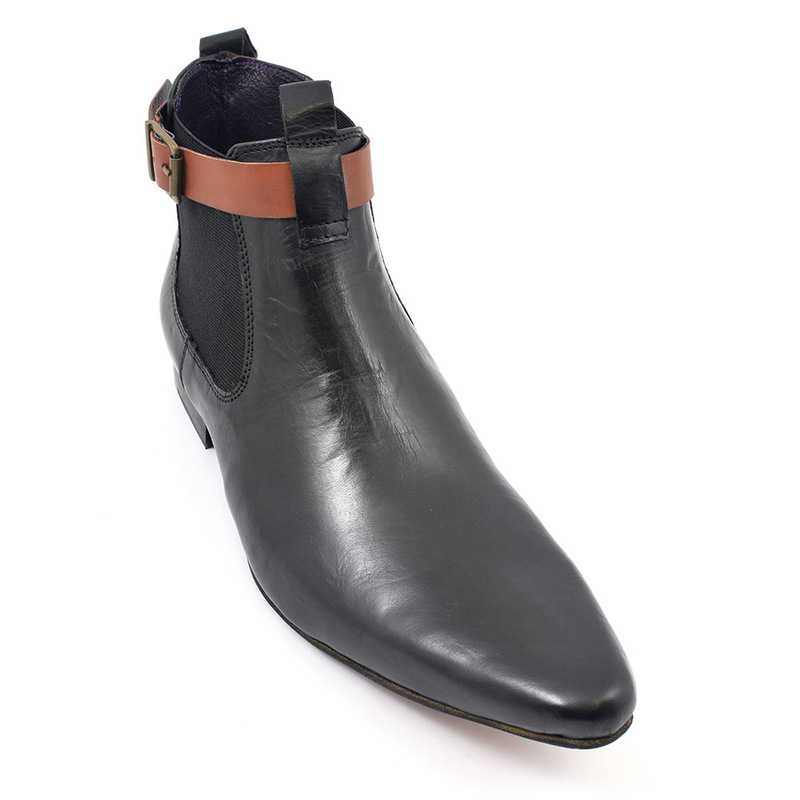 An edgy black pointed toe boot with a side gusset. 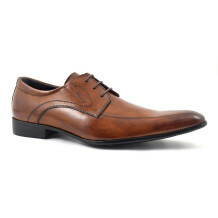 There is a tan collar with buckle which adds a cool touch. 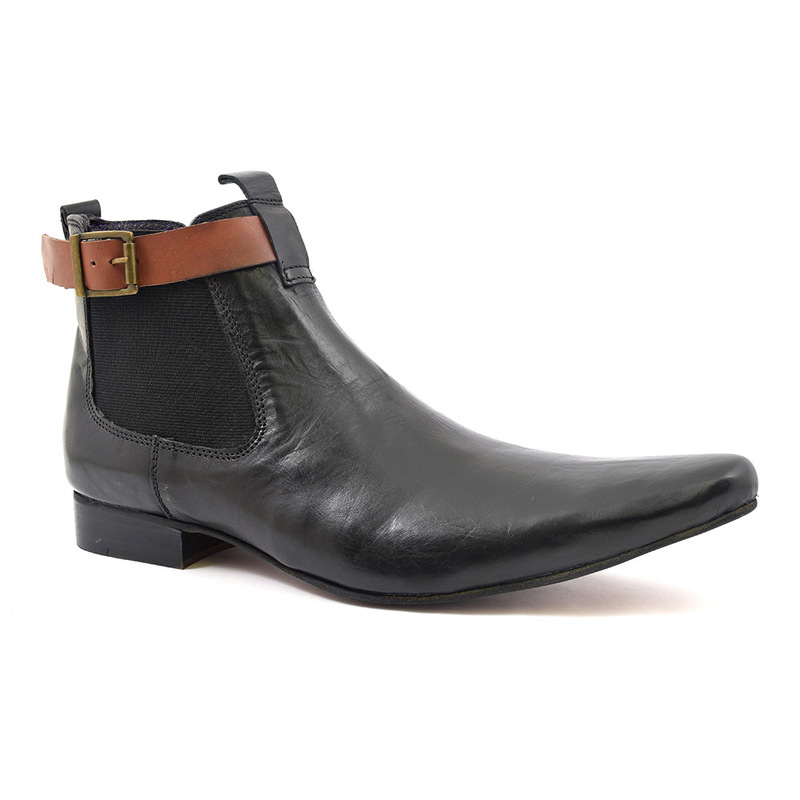 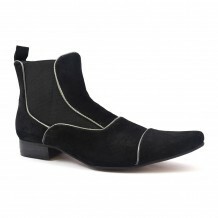 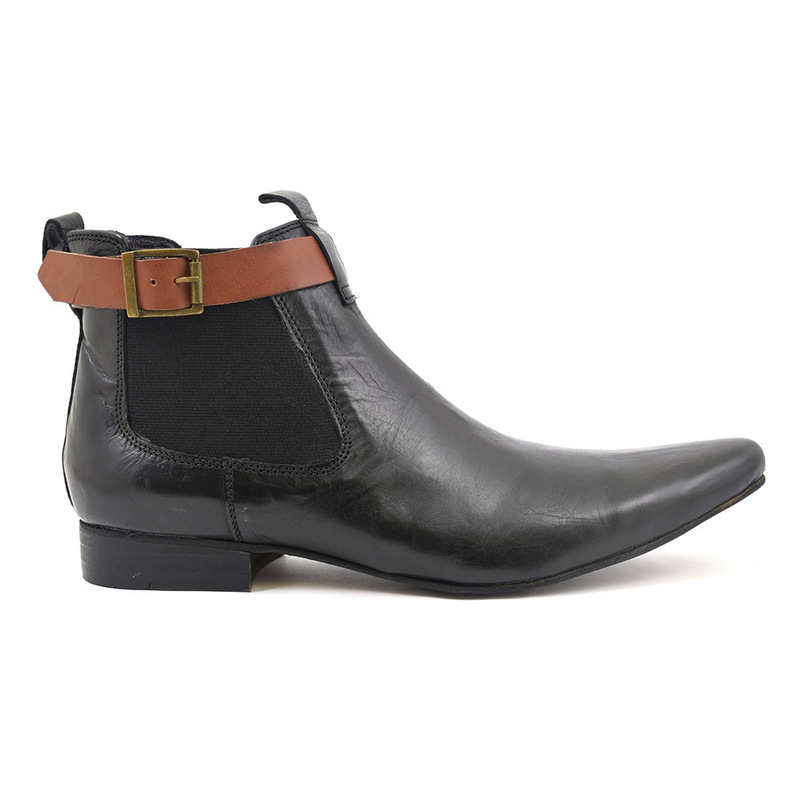 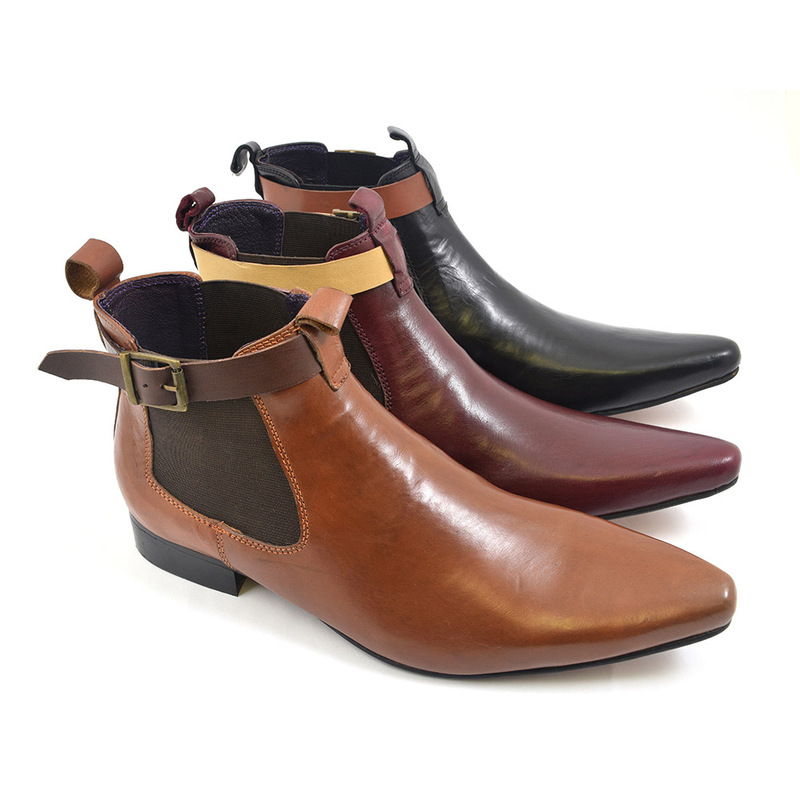 Be the first to review “Otto Black Pointed Toe Chelsea Boot” Click here to cancel reply.